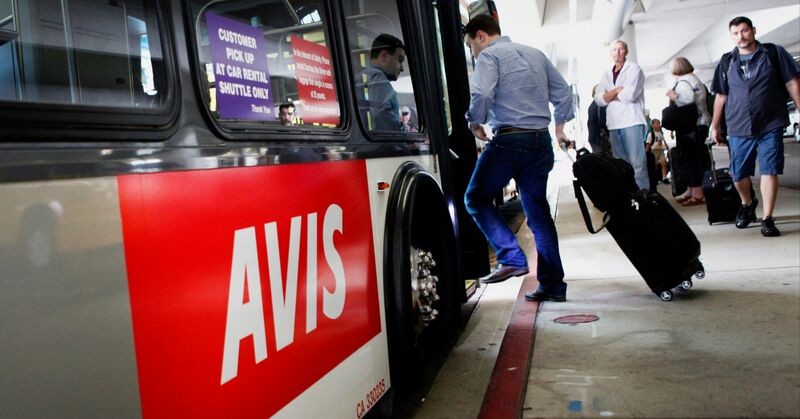 Avis Budget shares soared nearly 11 percent after hours Wednesday following the release of the rental car company’s fourth-quarter earnings beat. Earnings per share were 53 cents, beating estimates of 37 cents. Revenue was posted as $2.05 billion, compared to the $2.04 forecast by analysts surveyed by Refinitiv. Avis estimates 2019 revenues between $9.2 and $9.5 billion, vs. the $9.32 estimated by Wall Street. The company sees 2019 adjusted earnings per share between $3.35 and $4.20, vs. the expected $3.79. The stock is up more than 30 percent for the year. Navient shares fell more than 6 percent after hours following hedge fund Canyon Capital Advisors announcement that it is no longer interested in acquiring the student loan company. Canyon has significant concerns as a shareholder of more than 10 percent of Navient’s stock. This follows a report Monday that Navient’s board voted to reject the $12.50 per share offer from Canyon. Navient’s advisors had told Canyon it would require a price of more than $15, The Wall Street Journal reported on Monday, citing people familiar with the matter. Shares of Cheesecake Factory rose as much as 2 percent after the market close despite mostly lackluster quarterly results. The restaurant company missed on the top and bottom lines. Revenue was $585 million, missing a Refinitiv estimate of $599 million. Earnings per share were 60 cents, compared to the 62 cents expected by Wall Street. Same-store sales, however, increased 1.9%, beating estimates of a 1.1% increase. Shares of Agilent dropped nearly 3 percent in extending trading Wednesday despite the company’s better-than-expected first-quarter earnings. The laboratory instrument manufacturer posted earnings of 76 cents per share on revenue of $1.28 billion. Wall Street estimated earnings of 73 cents on revenue of $1.27 billion, according to Refinitiv. Agilent sees 2019 adjusted earnings per share between $3.03 and $3.07, compared to the $3.05 estimate. The company sees 2019 revenues between $5.15 and $5.19 billion, vs. the expected $5.17 billion. Shares of Jack in the Box jumped more than 3 percent in extending trading after the fast-food restaurant company released its better-than-expected first-quarter earnings. Beating on the top and bottom lines, the company earned $1.35 per share on revenues of $291 million. Analysts forecast earnings of $1.28 per share on revenues of $274 million, according to Refinitiv.